which deal with electronics. The reason I call it the "Pirate Ship" is because when I first went there, I was amazed how cheap software was. My cousins explained to me that this was due to the fact that all the software was pirated, and thats how the name came about. You can find almost any software here, and at dirt-cheap prices. CD's can be found for 50-100 rupees. Computer parts are sold here too, but those are a bit more expensive, except for pirated chinese hardware. Books are also available here, and as with the software they are pretty cheap. This is again due to the fact that they are copies and not the real deal. Finally, I am the only person who calls it the "Pirate Ship", so if you go to Lahore looking for the Pirate Ship, you will get some blank stares. Books are a little more expensive, but cheaper than they are in America or Europe. This shopping mall is exclusively for computers, cell phones and related accessories. 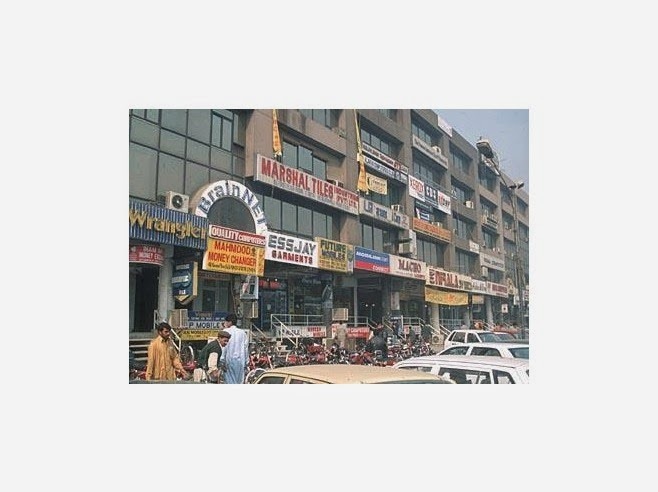 There is no place in Lahore comparable to this mall that can offer a large variety under one roof. What to pay: Once you have selected a product, look around in other shops for comparing prices, other wise you may be ripped off. Bargaining is must.